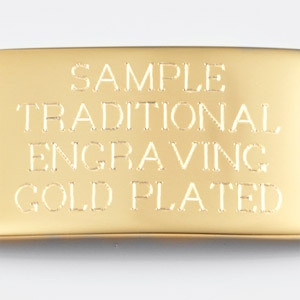 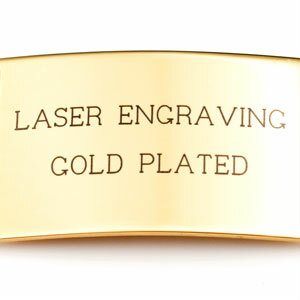 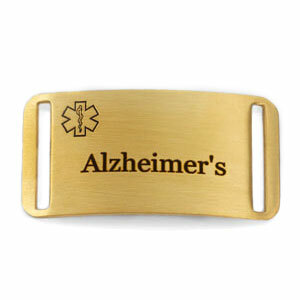 This pre-engraved medical ID tag is made of 18K gold plated stainless steel to create a custom and attractive Alzeheimer's bracelet. 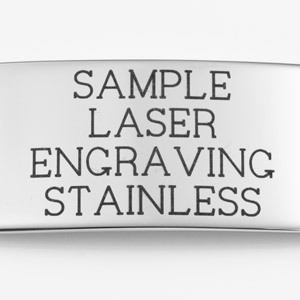 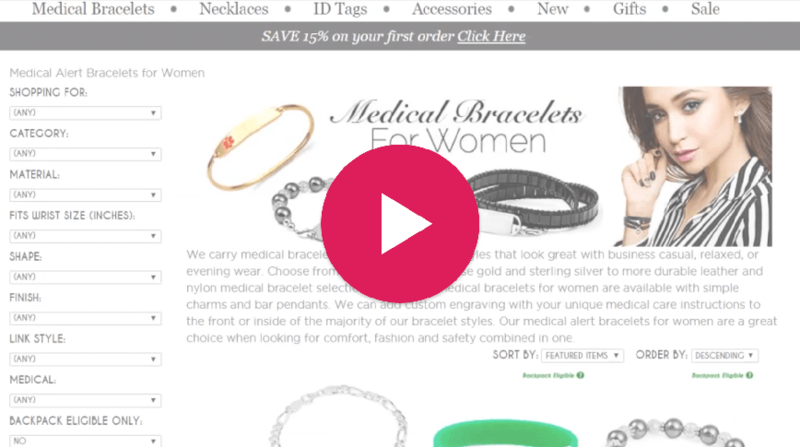 A variety of medical alert bracelet options for this medical tag will appear on next page once you add item to cart. 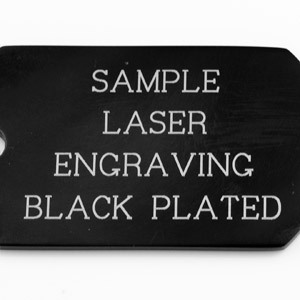 The back of this plaque allows for custom engraved medical details for additional safety. 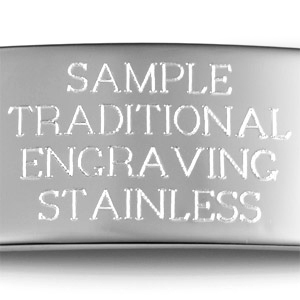 Up to 8 lines of 24 characters each, including spaces!